A BOTOX treatment is usually performed on the same day as your consultation in about 15 – 30 minutes as an outpatient procedure. The treatment sites will be cleaned before the BOTOX is injected into the facial muscles with a thin needle. Most patients feel mild to no discomfort during the procedure, but local anesthesia or numbing cream can be used if the patient prefers. Patients will be able to leave immediately after their BOTOX treatment, but they should avoid lying down, touching the injection sites, and exercise for at least 24 hours. There may be temporary bruising, swelling, or redness in the first 1 – 2 days. While some results will be seen immediately after the treatment, patients will see the full results of BOTOX in 3 – 4 days as the dynamic wrinkles begin to soften and smooth. 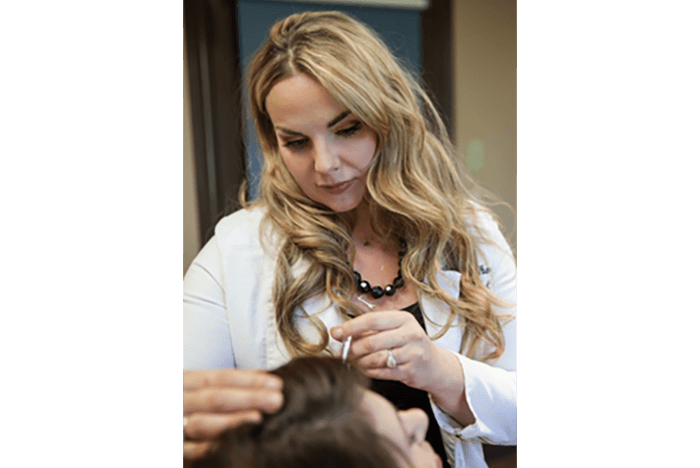 BOTOX treatments usually last 3 – 6 months, so patients are encouraged to schedule their next appointment after their treatment to prevent the results from fading. A follow-up appointment several weeks after the initial treatment may be recommended to check the patient’s progress and add more BOTOX, if needed.